A Russian delegation is to travel to Tehran on Sunday hoping to find a solution to the problem of payment for Bushehr nuclear power plant, which is threatening to push its construction further behind schedule. 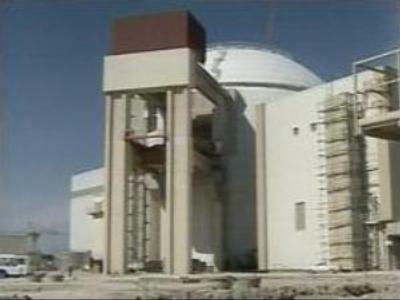 Work on Iran’s Bushehr nuclear power plant faces more delays after a row with Russia over payment. Despite three days of talks in Moscow, Iran and Russia could not come to an agreement in their dispute over financing the Bushehr power plant. Russia says Iran owes about $US 50 MLN in missed payments and that has caused the construction timetable to slip. For its part, Iran denies this and has urged Russia to deliver uranium fuel for the plant this month, as earlier agreed. Vladimir Pavlov, from Atomstroyexport, the Russian company in charge of building Bushehr power plant, said they are waiting for definite proposals from Iran. “We discussed the issue of financing the project in details, but to sign any documents or agreements regarding the issue, we needed to hear the exact suggestions from the Iranian side, first, which we did not. Only when they give us such suggestions and our experts consider them, we will be able to sign anything,” said Mr Pavlov. Meanwhile, Iran says it will continue to develop its nuclear programme despite the tightening of sanctions by the International Atomic Energy Agency. The IAEA approved the suspension of nearly two dozen aid programs after Tehran failed to stop its enrichment of uranium. The move follows UN sanctions imposed on Iran in December. The decision, recommended by IAEA Director General, Mohammad El Baradei, was adopted by consensus at a closed session of the 35-nation board. In the body's 50 year history, only 2 countries have been deprived of nuclear aid for the same reason – North Korea and Iraq. Iran's representative says the sanctions will not stop the country from enriching uranium. “They [technical-aid cuts] would have no effect on our nuclear enrichment programme because none of them have been on the issue of nuclear enrichment and even the rest of the projects are not related to the enrichment. Therefore the enrichment programme has been indigenous and independent. Nobody, not even the IAEA has cooperated or worked with us and therefore this project will continue as planned, under the supervision of the IAEA,” stated Ali Asghar Soltanieh, Iran's Ambassador to IAEA.